You may have hours in your day to meet WhatsApp messages, review Instagram and the latest success of Spotify. 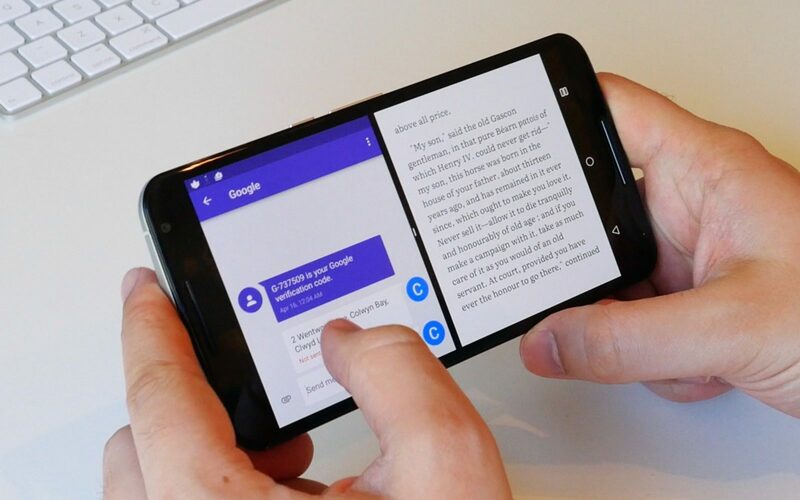 It is just an example of how tasks in the mobile have multiplied in recent times and split the screen of your Android mobile in two can be the solution to allow you to work with two applications at once. It is known as multiple window or double screen and if you still do not know how to activate it, it is time. To do so, you must have installed on your Android 7 Nougat smartphone or higher and you should bear in mind that the process may vary slightly depending on the version you have on your mobile. In addition, there are some applications that cannot be put on split screen since they were initially set up like this by the developer. If you find any, do not despair since on some Android devices you can change this configuration manually. To do this, go to Settings > Developer options and activate the Force activities box to change their size. The main thing, as we said before, is to verify that you have the necessary version of Android to be able to divide the screen. Although the route to do so will differ depending on the mobile you have, you can usually find this information in the phone settings and operating system information. Open one of the applications you want to run on the split screen of your mobile. Look at the bar that you have at the bottom of your phone. There you will find the applications button, which is usually square and located in the lower right corner. We have tested it on the Xiaomi Mi 1 with Android 9 Pie, and here the apps button is located in the lower left corner with three horizontal stripes. Press it for several seconds. You will see how the app you opened in the first place is relegated to the top. At the same time, a carousel is opened on the screen with the rest of the apps that you have open for you to choose the one you want to activate in the other half of the screen of your mobile. Click on the one you want inside the same carrousel and, immediately, the screen of your mobile will be divided in two. In the upper part you will have the app that you had open from the first moment (in our case, WhatsApp) and in the lower part you chose later from the carousel. Once you have both on the screen, you can drag the dividing line to change the ratio. Click on the square button of applications and all recent apps will open. Click on the icon of the application you want (without opening it) there will be a window that shows you two messages: “Application information” and “Split screen”. Click on divide screen and immediately the application will be fixed at the top of the screen. Next, the carousel will open with the recent apps so you can add the one you want to the second half of the screen. In case you do not leave here, there’s no problem. Click on the Home button to go to the main screen and from there you can choose the application you want to add it directly to the bottom of the screen. To deactivate the split screen, you have several options. The simplest is by pressing for a few seconds on the square application button and the second app will disappear. You can also drag the dividing line down to make one of the apps disappear. Finally, you can press momentarily on the Home button of the bottom bar of your mobile. At that moment the second application will disappear and the first will be relegated to the top. You have two options, open it to continue working on it or remove it from the screen. Depending on what you want to do, you will have to slide down (to open) or up (to remove) the dividing line. Android, Android 9 Pie, split screen. Bookmark.